Summary: This is a simple recipe. It is simple to throw together the marinade in the morning before going off to work and come home to an easy dinner to prepare at night. 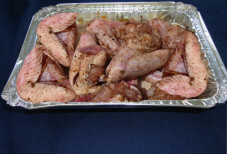 Mix water, soy sauce, vegetable oil, lemon pepper seasoning, and minced garlic in a deep bowl; add pork chops and marinate in refrigerator at least 2 hours. 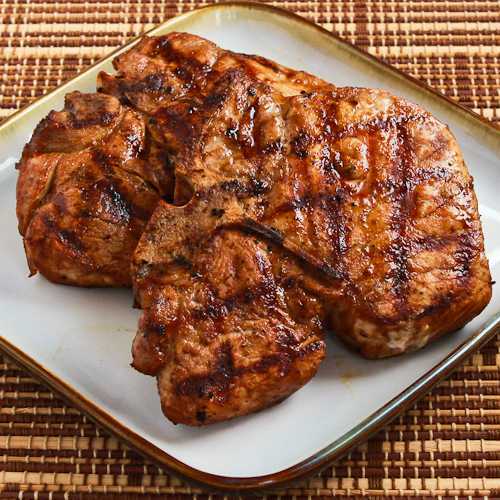 Remove pork chops from the marinade and shake off excess. Discard the remaining marinade. Cook the pork chops on the preheated grill until no longer pink in the center, 5 to 6 minutes per side. 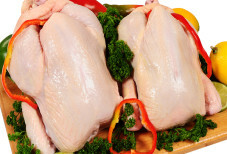 An instant-read thermometer inserted into the center should read 145 degrees F (63 degrees C). We just picked up our first load of meats from here and we will be coming back all the time. The staff was super helpful and friendly.